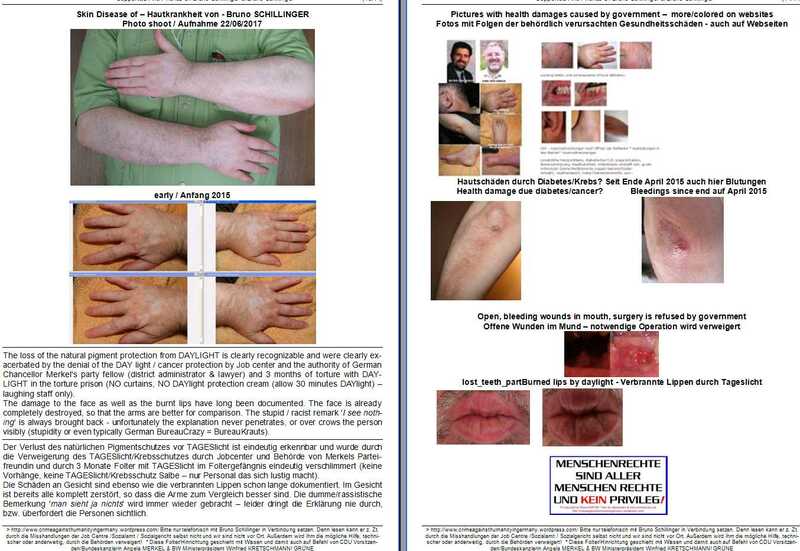 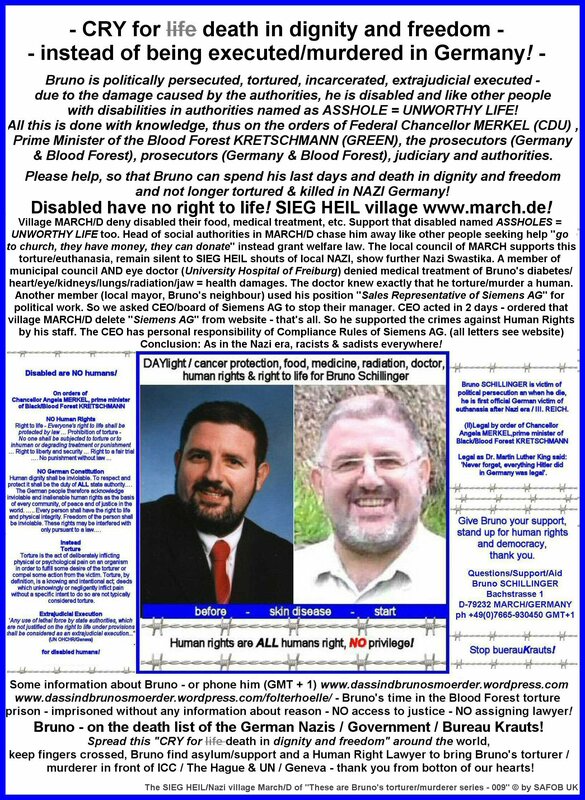 These are Bruno’s torturer/murderer! 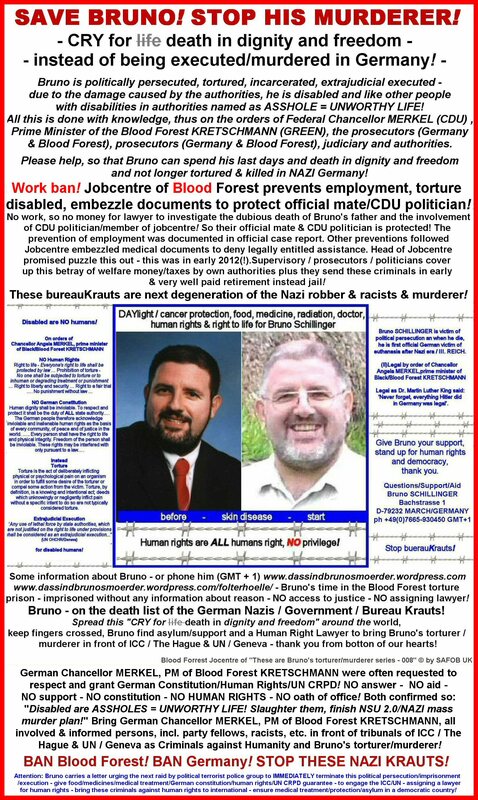 | † Die Mörder von…..
Jan. 27th. 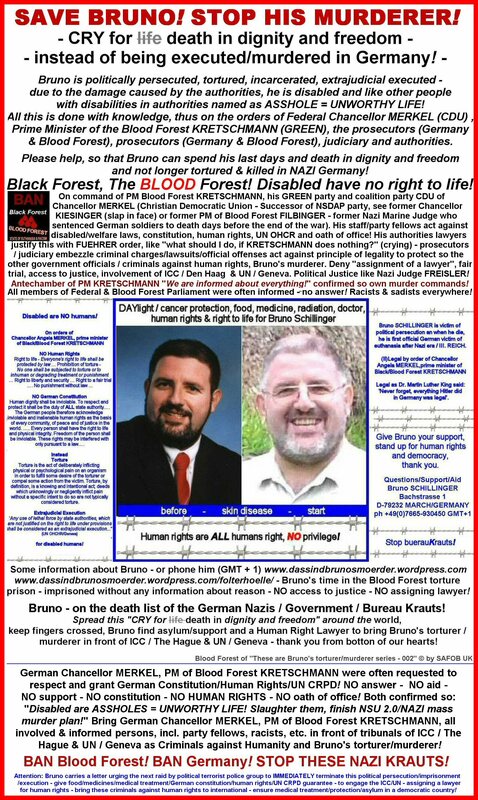 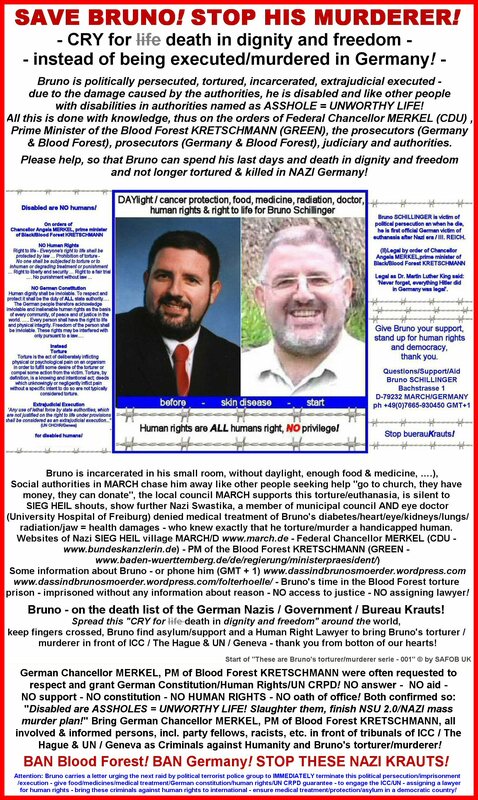 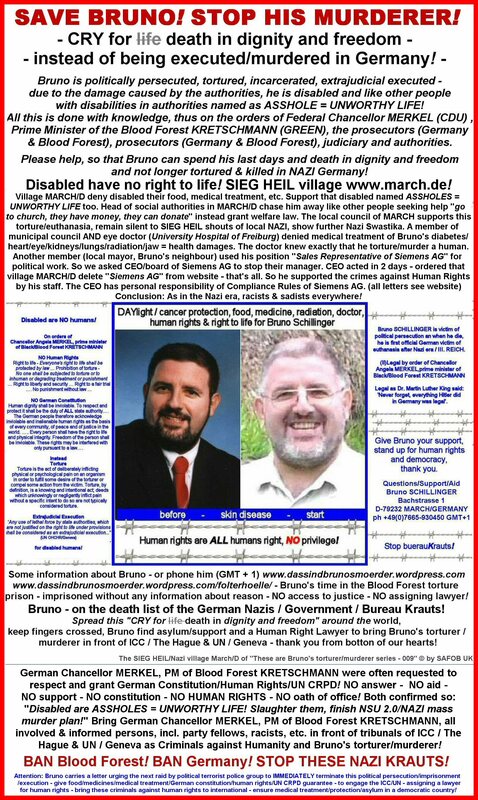 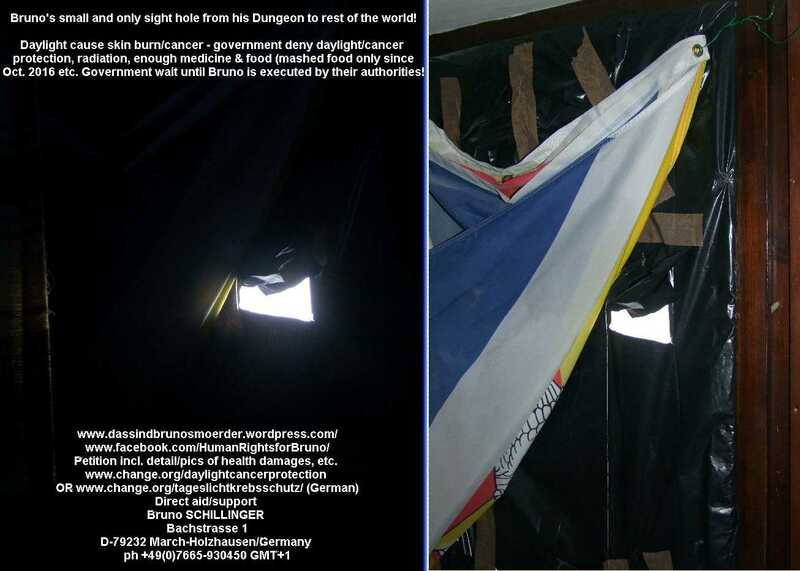 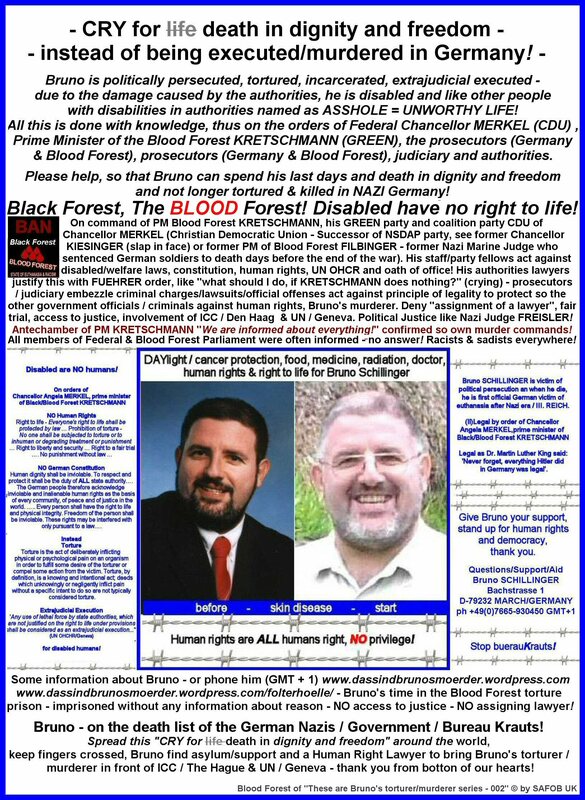 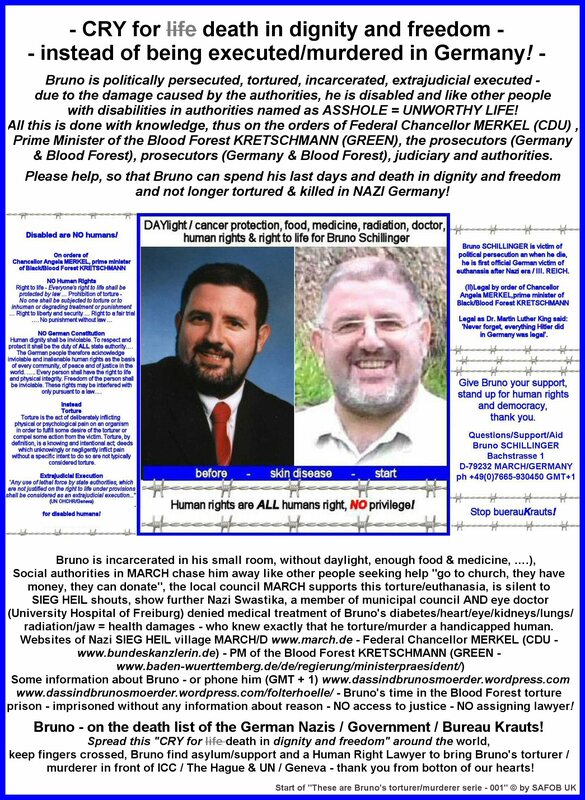 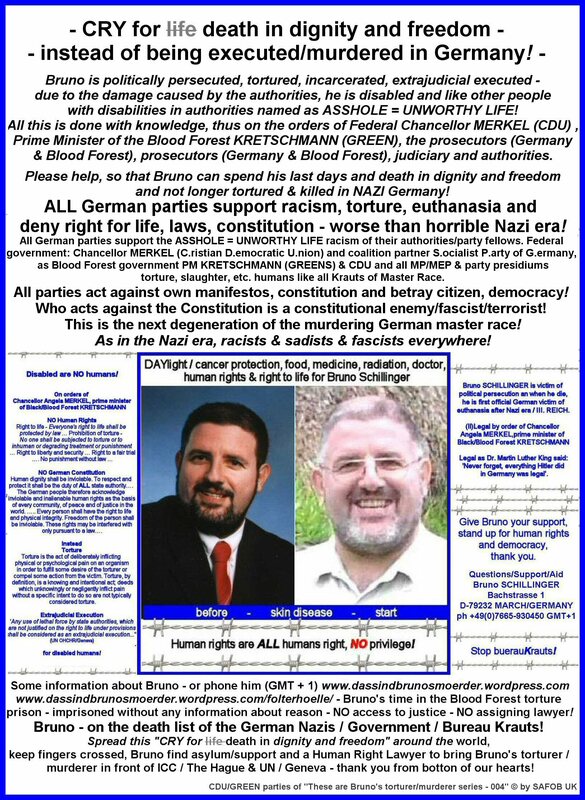 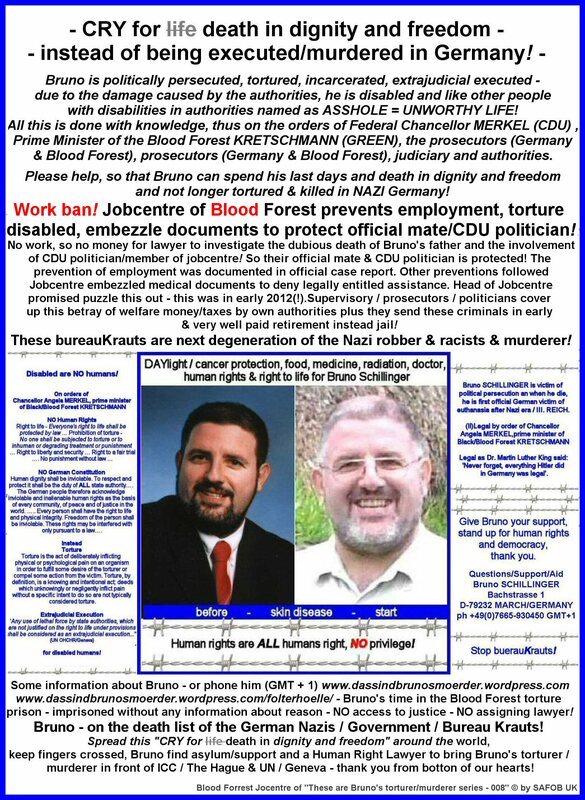 2019 NEW LAYOUT – Jan. 16th 2019 – We started a new mission for Bruno – to stop and name and bring his torturer / murderer to ICC/UN tribunals and find shelter & asylum for hin to spent his last days/death in freedom (preferred Highlands)! 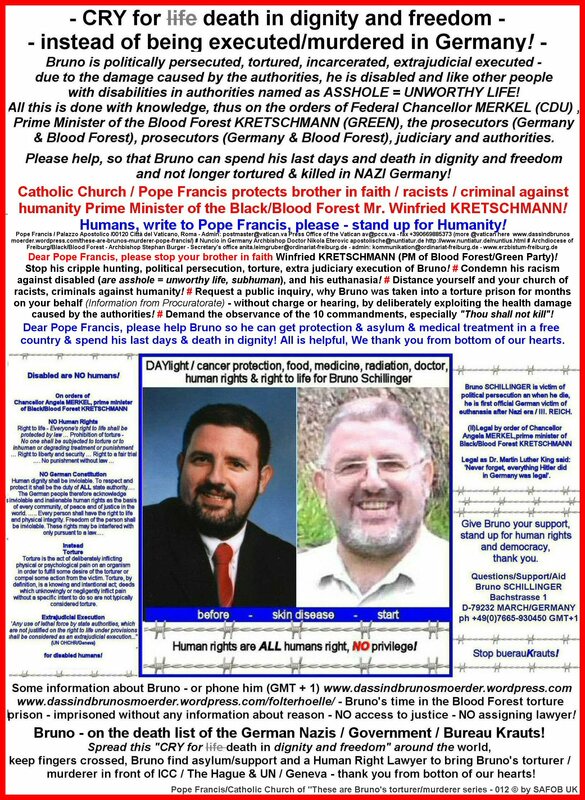 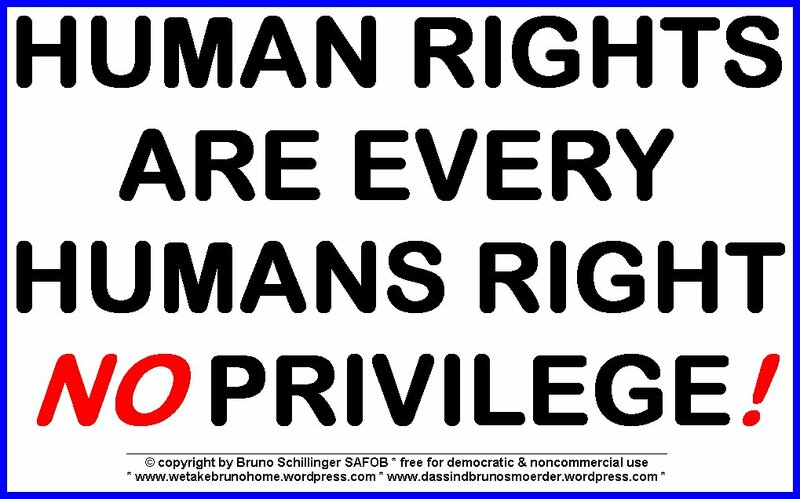 Please spread pictures (more asap) that Bruno find shelter & asylum in a democratic country and will not executed in Nazi Germany!